The ultimate name in high-performance braking: Brembo. The calipers come in an exclusive yellow paint for an eye-catching look, while the larger ventilated disc rotors help you drive with precision and control. Functional racing-inspired red and black leather interior, with red seat belts to match. Powerful rally-winning 2.5ℓ Turbo Boxer engine, delivering 221kW and 407N m of power. When you buy an STI, you buy into Subaru's rally-winning heritage, boasting three Manufacturer WRC titles and three WRC Drivers titles. 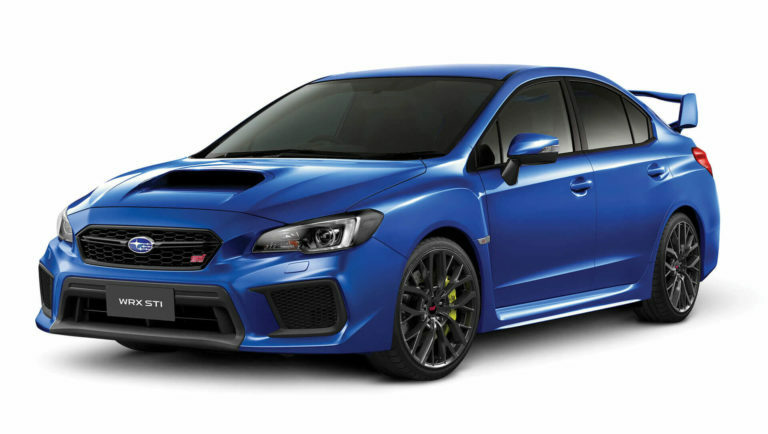 The Subaru WRX and WRX STI are purebred performance cars enabled by some of the most advanced automotive technologies the world has to offer, including Subaru Symmetrical Full-Time All-Wheel Drive for superior control and the Subaru Boxer engine for dynamic response. These advances have been placed in a superstrong chassis and are supported by a rally honed, fully independent suspension system to ensure unmatched cornering capability, precision and stability on any type of road surface – under all possible conditions. Chassis designs for the WRX STI feature exceptional stability and lightning quick response. The high-tensile steel frame and the suspension system – fine-tuned with stiffer stabilisers, quicker spring rates and stiffer pillow ball bushings – offer better overall control. The result is an unprecedented connection between driver, car, and the road. 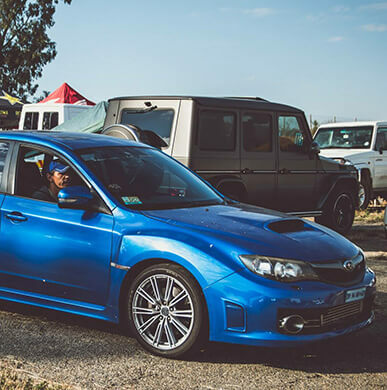 The turbocharged Subaru WRX STI adapts its driving styles to suit your day, thanks to Subaru Intelligent Drive. Choose from Intelligent mode for everyday driving, Sport mode for enhanced acceleration and sporty performance, and Sport Sharp mode for a truly exhilarating drive. Using radar sensors and a visual indicator in each side mirror, this system warns the driver if another vehicle is positioned in the blind spot. Utilising radar sensors at the back of the vehicle, this system warns of traffic approaching from either side as you reverse out of a parking space or driveway. Our Symmetrical All-Wheel Drive System provides unparalleled grip and control in all weather conditions. Brake Assist helps you fully engage the brakes in an emergency. Brake Override can help you avoid a potential hazard by overriding the gas pedal input if both the brake and gas pedal are pressed at the same time. High performance Brembo brakes provide superior stopping ability. The engine and transmission are designed to drop below the cabin in a front-end crash for added protection. 7 airbags standard, including a driver knee airbag. The three letters, STI, mean so much. For over 30 years, STI has built the finest performance cars. The only Japanese manufacturer to win three Drivers titles and three Manufacturer titles in the World Rally Championship, with the attention now turned onto track racing with our multiple victories at the 24H Nürburgring Challenge.